ROCKY RIVER, OH (WOIO) - St. Christopher School participated in its 3rd annual St. Baldrick's event to raise money for childhood cancer research. 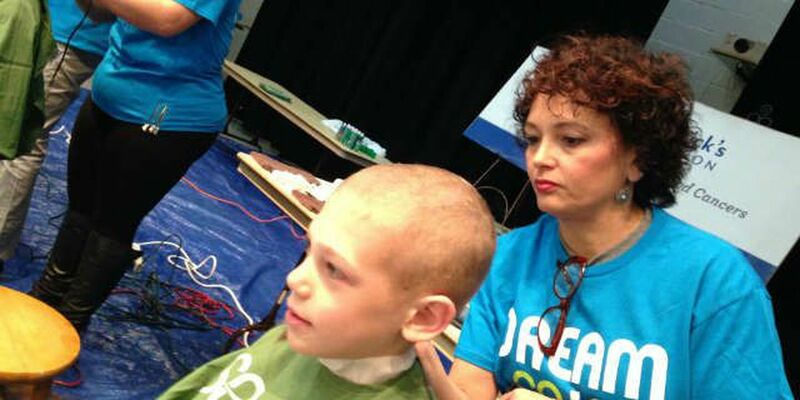 The school's principal, maintenance worker and more than 40 students, both girls and boys, shaved their heads Friday. The school is honoring two students who are more than five years cancer free: Page Snyder and Alexis Haylor. Two students in maintenance were also honored: Shane Haddad and Ryan Walther. The school also honored four angels who lost their battle: Anna, Maria, Anthony and Michael. St. Christopher is trying to raise more than $30,000 to break last year's fundraising record.